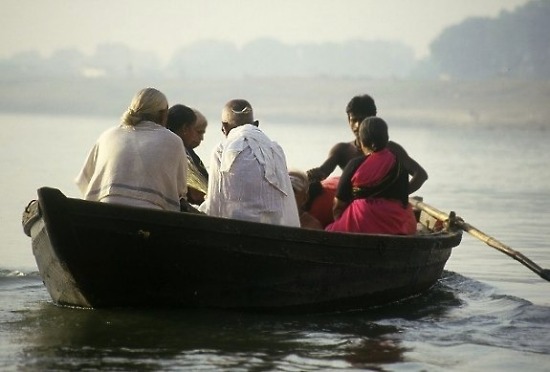 "This picture was taken on the river Ganges (Varanasi, India) just after dawn from a similar rowing boat. I used a Minolta 7000i and a 80-200mm zoom lens at about 180mm. It is sometimes difficult to decide whether you should take a photo or not..."